Well hello to you my reader chums and long time no see! It's been nearly two weeks since I've sat down a blog post for you all. With August and summer now coming to a close, it's time to share with you everything I've been enjoying over the past month. Even though I'm quite sad summer is ending, I'm excited for all the cosiness autumn brings from layered clothes, berry lips, hot chocolates and movie nights! 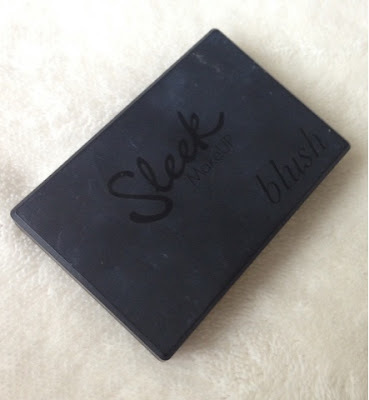 The first product I've been reaching for this month is the gorgeous Sleek blush in 'Rose Gold'. I used to wear this regularly but put it aside and began applying other ones as part of my everyday routine. However, over the past month I've been wearing it again and have fallen back in love with it. As it's quite pigmented, the tiniest bit is needed to achieve a pink flushed, glowy look. The product combines as a blush and highlight with the shimmering elements within. This mixture is the perfect duo and I just love the final glimmering look it gives. The next favourite is a hair elixr that I've genuinely been obsessing over. 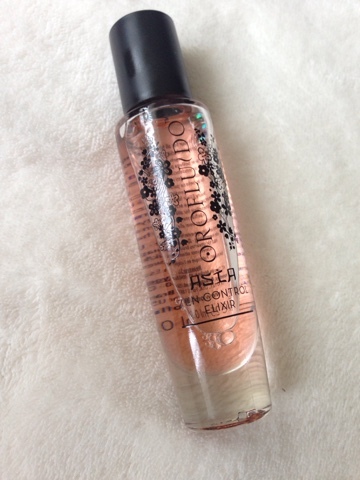 As I have quite frizzy hair, maintaining hairstyles can be a tedious task, however this oil has really helped me out. By applying a little bit through the middles and ends before styling, it helps not only frizziness emerging yet leaves a beautiful scent and my hair feeling ultra silky. For those who suffer with frizzy hair, I'd definitely recommend it as I saw a difference straight away. 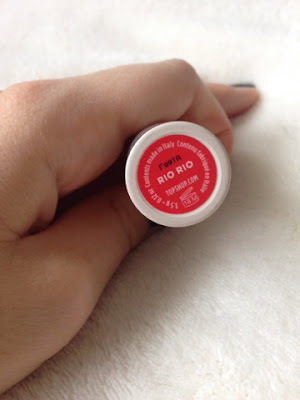 Another makeup item is this bold orange lip option, Topshop's lipstick in 'Rio Rio'. I featured this in my last makeup tutorial and oh my goodness I love it. 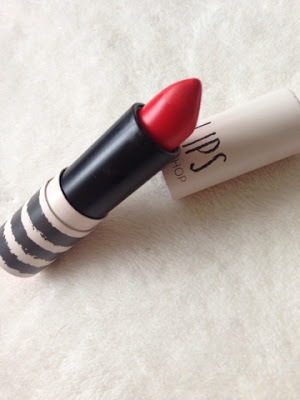 The boldness of the orangey-red colour suits my complexion amazingly, I adore the pigmentation and when applied it's not drying on the lips at all. I have a bit of a lipstick addiction so when there's one I find and will wear a lot, I know its a good'n. The lasting power on Topshop's line are fab and their packaging is just super cute; I think their lipsticks are really underrated. If you're looking for that bright red/orange colour that's prominent but not too scary, this is definitely for you. 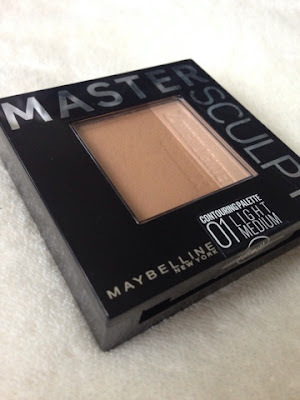 The final makeup product is one of my recent additions, Maybelline's master sculpt bronzer in the shade 01 light/medium. I picked this up a week or two ago as there was an offer on in Tesco for 2 for £10 on Maybelline products when I was purchasing my usual BB cream. I thought why not try out this new beauty? 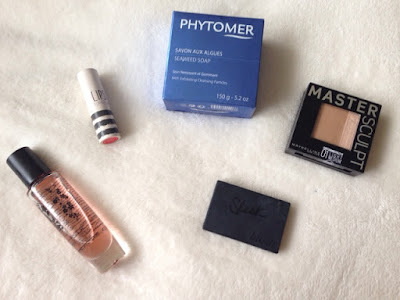 Bronzers are one of my favourite base products and I love testing out different ones. I know this is quite a new release that I've only heard good things from and therefore was intrigued to give it a go. As it's a warm toned bronzer the undertone is slightly orange, however when applied this doesn't come through at all and you're left with a lovely bronzed glow. 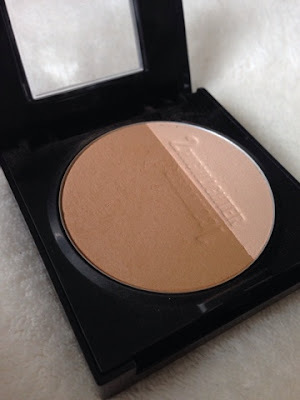 It's quite a buildable bronzer which can be used for a quick all over bronze or stronger contour. I love how it comes with a highlighter too and the versatility of the whole product. It's easily blendable, builds well and can achieve whatever look you like with the overall appearance still being pretty natural. The highlighter is quite a muted, natural shade adding that tiny bit of glow above the bronzed cheeks. 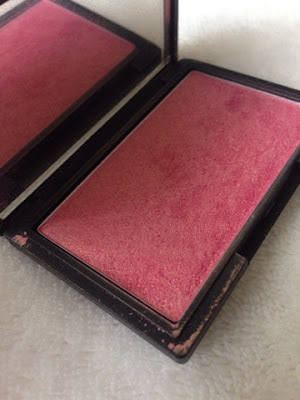 For the price tag, the quality is lovely and the products itself are so gentle to use. The last product is a seaweed soap which is another very recent favourite. I'm going to be honest and say I'm one of those people who forget to exfoliate/moisturise my body and would rather ensure I stick to a face skincare routine. Saying that, over the past few weeks I've been loving to use this on my legs and arms to exfoliate, I find it's not too harsh yet rough enough to do the job. After using my skin feels refreshed and is left with a lovely natural fragrance. As it's a soap you can easily apply directly where the prickled edges help with the exfoliating. Now I've got into the habit, I'll definitely be doing this on a more regular basis. I hope you enjoyed this monthly favourites post. What have you been loving this month? 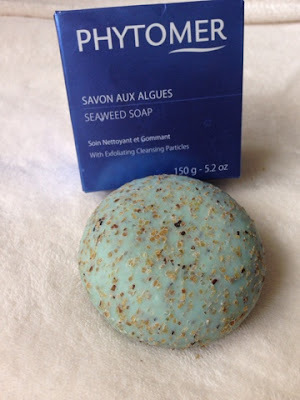 Omg the Seaweed soap looks so good! I always forget to exfoliate so when I do, I feel so good afterwards!